When it is time to move, you will probably look around your house or apartment and find that there are a lot of items that are just a pain. They are nice, but you no longer able to use them or you do not want to move them when moving day comes. One thing that you can consider doing is having a yard sale. This allows you to get rid of your items to someone who could find use for them while making a little extra money for the move as well. 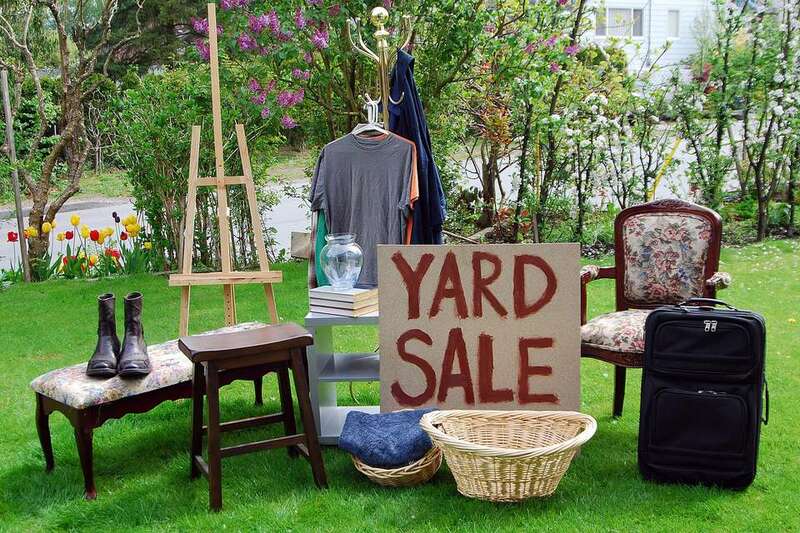 Let’s look at some of the steps that you should follow when it is time to have a yard sale for moving. The first step that you should consider is what you would like to sell. Go through each room in your home and decide what things you no longer want to keep. They need to still be in good shape thought. People who frequent garage sales are looking for bargains, but that doesn’t mean they want something that is old or falling apart. Make a pile as you go through each room and decide what you do not need any longer, what is not important to you any more, and what you do not want to have to move with you on moving day. You always have to consider the price of the items that you want to sell. Most people who want to go to a garage sale are looking for a great deal on items. They will most likely want to pay less than what it may be worth. Pick out prices that are low and competitive. You are trying to get rid of these items so price them in a way that will make a buyer ready to take it right then and there. You may also run into those who want to negotiate on the price with you. It may be worth your time to do this and give them a lower price. This ensures that you are able to get rid of the item and not have to move it. And all the money that you make is profit anyway. You need to make sure that people are able to find your garage sale if you hope to make any money out of the process. Advertising ahead of time, in the newspaper and on social media, can help others know about the garage sale. The day of the sale, make sure to put some signs up around the town and in front of your yard so people are able to find you. If you end up having some stuff left at the end of the garage sale, you may want to consider donating it to a good cause. You can choose to keep the items, but then you still have to move them, and they are most likely items that you don’t want anyway. Find a thrift store or a Goodwill that you can work with so that you don’t have to deal with those items after the sale.